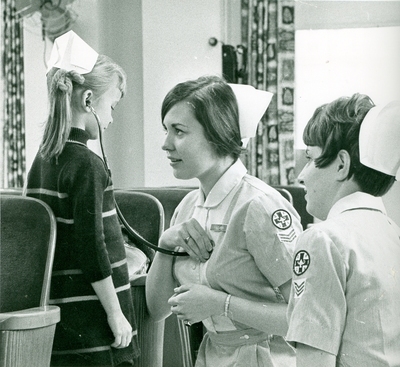 Do you know these two nurses teaching a young girl how to use a stethoscope? Where was this photo taken? Please email Library Services (LibraryServices@lvhn.org) if you can answer the mystery. COPYRIGHT INFORMATION ~ When using this image, the credit information should be in the following format: Image courtesy of Lehigh Valley Health Network.